Available in four sizes for different lengths of hair, this size 1 brush is suitable for shorter styles and blow drying fringes or shorter layers, giving your hair lift, volume and movement with minimum effort from you. The signature platinum toned end cap with a soft touch, non-slip finish, is designed to enable better control when your hair is wet, creating the perfect foundation for using your ghd styler. Careful, the picture can be quite decieving, the barrel is much smaller than upon first look. However, as a brush it is excellent! Still gives volume, but not as much as I would like (however my hair is quite long) and leaves your hair looking smooth, shiny and frizz free. Easy to work and definitey worth the money. I will be buying the next size up (44mm barrel) as well, as hopefully this will achieve the volume result I am looking for. Definetly recommend! I can imagine this brush will be very good for creating curls, which I will be trying! Helped me get a salon quality blow out! 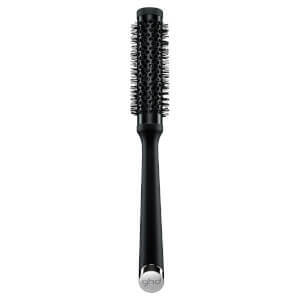 Brush is very sturdy and feels luxurious. Would reccomend! The first time that I used I damaged its brustles. They are very delicate. I am no very good with my left hand so put my hairdrier towards the bristles and now, some of them are bent. 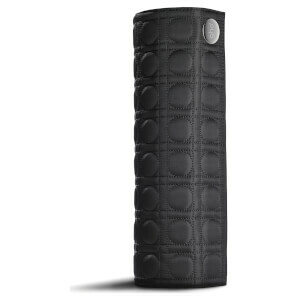 Apart from that, it is no heavy and ergonomic. I can not say too much as I only have used it a couple time. 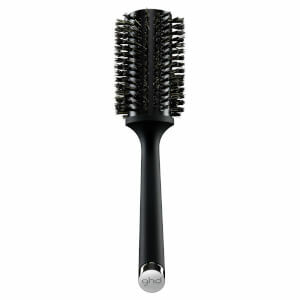 ghd Natural Bristle Radial 28mm leaves hair very soft and shiny. The long handle makes it much easier to work with. 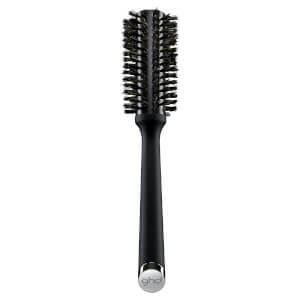 I bought the ghd Natural Bristle Radial 28mm after a recommendation, and I was not disappointed at all. The ghd brush is great to hold with an excellent grip and is so easy to use as it appears to help dry your hair from the underside as well as the top with a hair dryer. I would highly recommend this product to anyone who wants to improve their hair style and drying times.